You know those people who study Classics in college and then embark upon careers in finance? 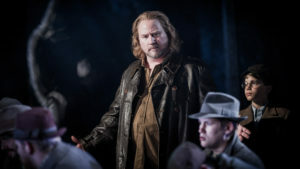 Well, here’s a new one for you: Carl Tanner went from being a bounty hunter to an opera singer. Yes, seriously, a bounty hunter (full disclosure: I didn’t even know such a career still existed). Once I heard that, I knew I had to interview this guy. Thankfully, Carl was willing to take the time to answer a few of our questions. I went to apprehend a simple DIP charge (drunk in public) charge and the perp jumped out the 4th story window, grabbed a power line electrocuting himself, then fell to the ground by my car. I went from being a teacher to web developer, so I know what it’s like to change careers, but I have to say that your transition from bounty hunter to opera singer is about as wild and fantastic as they come! Tell us about the transition – was it challenging? Scary? Exciting? My transition from Bounty hunter/Truck driver was pretty simple. Bounty hunting is a numbers game; sooner or later you’re going to end up hurt or worse! I knew after almost being hit by a 16 year old kid shooting at me with a .22 rifle that there by the grace of God went I. Right after this incident I went to apprehend a simple DIP charge (drunk in public) charge and the perp jumped out the 4th story window, grabbed a power line electrocuting himself, then fell to the ground by my car. I immediately turned in my walking papers and quit. Do you miss kicking in doors? I sometimes miss the excitement. Strangely enough it’s similar to the excitement I get when I step on stage. That feeling of the unpredictable. You prepare as an artist to take the stage the same way as you would prepare as a bounty hunter to storm a building. All your ducks are in line…but there is still that element of the unknown. Anything can happen! 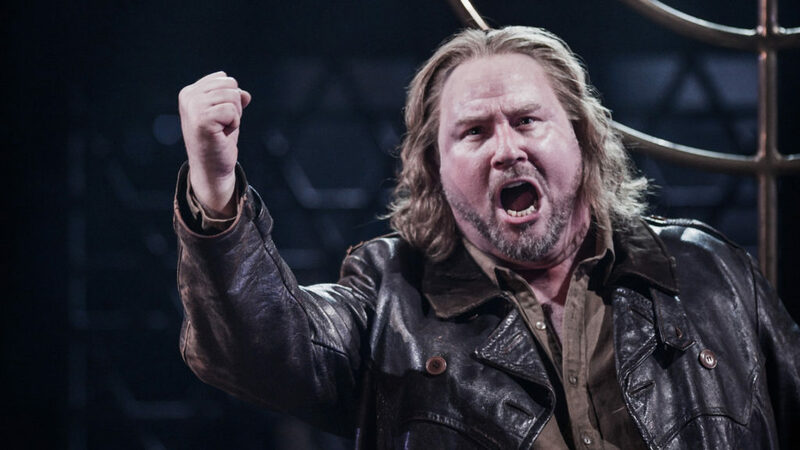 Fame aside, money aside, coworkers aside, everything aside except for the work – be honest, which one is more fun: being a bounty hunter or an opera singer? Honestly speaking….both have their positives and negatives! It’s not fun being shot at as well as being screamed at and berated by a temperamental conductor. The positives of being a singer do outweigh the positives of being a bounty hunter. As a hunter you get the satisfaction knowing you “done good” bringing in someone who was detrimental to society. As a singer, your family, friends and fans get to see and experience your accolades and sometimes ride along on your success. When you’re not singing on the stages of the Met, La Scala, the Kennedy Center, or any of the other glorious stages around the world, what do you do? Where could we find you on a free evening? I’m almost all the time at home with my family. I have a fantastic husband of 26 years (married nine years) and we have our beautiful 9 year old son, Oliver. Any off time I like to work in my jewelry studio creating different designs for my company CarlTannerDesigns.com. Do you have a favorite house to sing in? Believe it or not I used to love singing at the NYC Opera in Lincoln Center. Yes, we’ve all heard that the acoustics were made for ballet but I found it “home” and loved working there. I also love singing at the Semper Oper in Dresden, Germany. Fantastic sound for everyone involved. What the Fach? You’ve been described as a Heldentenor – can you tell us what that means? How does your instrument differ from those of other tenors? I have been described as a Heldentenor, a dramatic tenor and a Spinto Tenor. Each of these descriptions refers to the color, size and impact the voice has. I think the closest, best description of my voice is Spinto tenor. It’s a mix of dramatic and heavier lyric voice type. In an interview you did on CBS’ Early Show, you talked about how you always purchase two seats in the audience if the performance you’re in is not sold out. Tell us about that. Is that something you continue to this day? Yes, when I can and if it’s not inconvenient to the paying public I still take my two comp seats and save them for my parents. Since my spouse and son often come to shows I also use my seats for them. 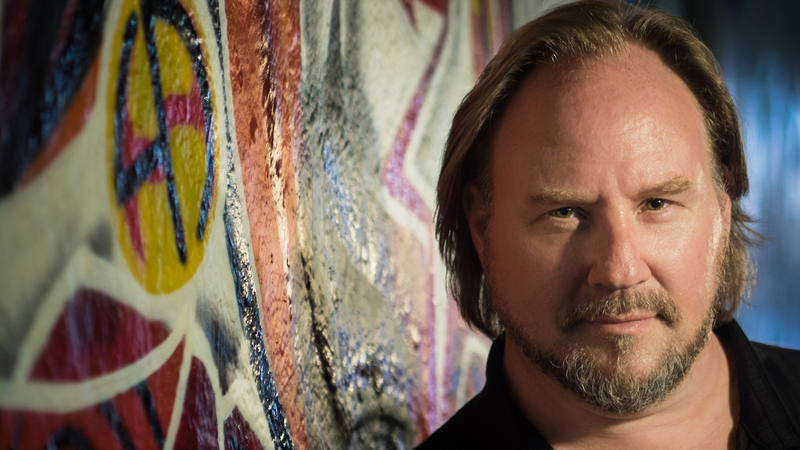 You’re soon going to be playing Radames in Washington National Opera’s production of Verdi’s perennial favorite, Aida, at Washington National Opera. Tell us a bit about the production – what’s unique about it? The Washington National Opera production of Aida is not your typical traditional production. This beautiful and colorful production was designed by the famed LA street artist RETNA and features incredible hieroglyphics and linear calligraphy accentuate and give a unique modern edge to the classic story. To finish up, I’d like to ask something I ask everyone: what is it about opera that touches your soul? What “touches my soul” is the Verismo element of Opera. It’s true to life! Anything that happens in opera can happen anytime to anyone and probably has. I love the realness, the true to life story lines and the people who bring these stories to life. Most of all what I love about opera is the music, the music that has endured centuries!